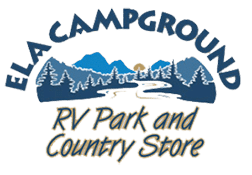 We offer year-round camping at our campground! Our campsites are just steps from the Tuckasegee River and campers have three easy access areas to the river. Two "walk down" river access areas are perfect for fishing, wading, kayaks, canoes, and tubing. You can also enjoy the river from a large deck cantilevered over the water. It's great for fishing or just watching the Tuckasegee flow by. Check in at the Campground & RV Park: Check at 2 pm, check out 11 am, Quiet time 10 pm- 9 am. Open year-round, all stays require a 2-night minimum, utilities included in price cable where available. – No refunds due to weather or natural occurrences. – All tent sites have water & electricity. No primitive tent camping.